You’ve learned all about NewGen Restores’ reputation as the leading carpet cleaning company in the Charlotte, North Carolina area. You know what services we offer, and how we can give your home or commercial space a new lease of life. But now, it’s time to go into even greater detail about how we go above and beyond to make sure we give you the best service possible. 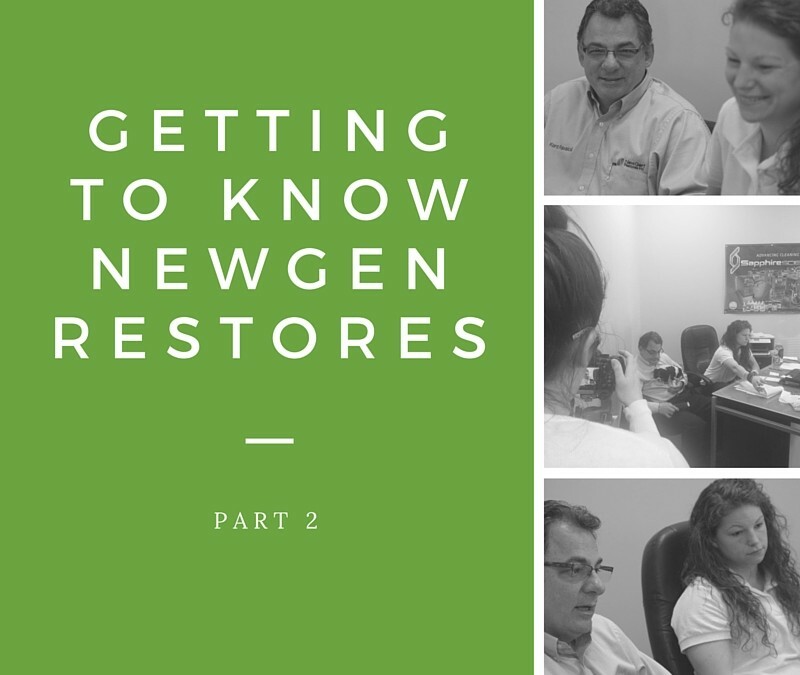 Last week, we sat down with NewGen Restores supremos Kent and Liz Ravaioli to discuss the importance of insurance and how even approximate measurements help us quote more accurately for our services. In the second installment of this four-part series, we discuss our work schedule and the types of payment methods we accept. We also talk about our rolling 6 and 12 month cleaning plans, and the advantages they offer. (Hint: one of them is a discount). We work any time our clients need us, except Christmas, New Year’s Day, Easter and Thanksgiving. In fact, when it comes to commercial customers, we typically work after business hours and all day Saturday and Sunday. We operate on this schedule because we understand it is simply impractical for us to come in during normal business hours. Obviously you cannot be doing janitorial work and thorough cleaning while employees are trying to concentrate on their jobs and clients are coming and going all the time. This also allows us to dedicate weekdays to residential spaces. That way, you don’t have to wait around while we get the job done. We’ll come in before you’re off to work and you’ll return to a squeaky clean house. Unfortunately, we’re not taking online payments for the time being. However this is an option we’ll be looking to explore in the near future. We offer 6 month and 12 month rolling contracts. These are available to both residential and commercial customers. Why Should Customers Opt For A 6 Month Or 12 Month Plan? Well, for one, you’ll get a discount. Cleaning at regular six or twelve month intervals is a smart thing to do, especially in the case of carpeting. Carpets and rugs are often the first line of defence against a lot of the dirt, allergens and other airborne contaminants that find their way inside your home. Lack of regular maintenance doesn’t just make your space look dingy, it can also turn carpets and rugs into a health hazard. Surfaces are also much easier to maintain if they’re cleaned regularly. The longer you leave in between cleanings, the harder it is to restore your carpet and make it look new. If you neglect your carpets, stains will set deep into the fibers and could become almost impossible to remove. Dirt particles could also permanently damage the backing of your carpets and rugs. When that happens, we’ll have to make the best of a bad situation. It’s impossible to work miracles. A consistent schedule ensures the best results.